Be prepared to see a lot more YouTube Stories in your YouTube application. This week, YouTube is rolling YouTube Stories out to all eligible channels with subscriber counts of over 10,000. These days, that’s a lot of channels. 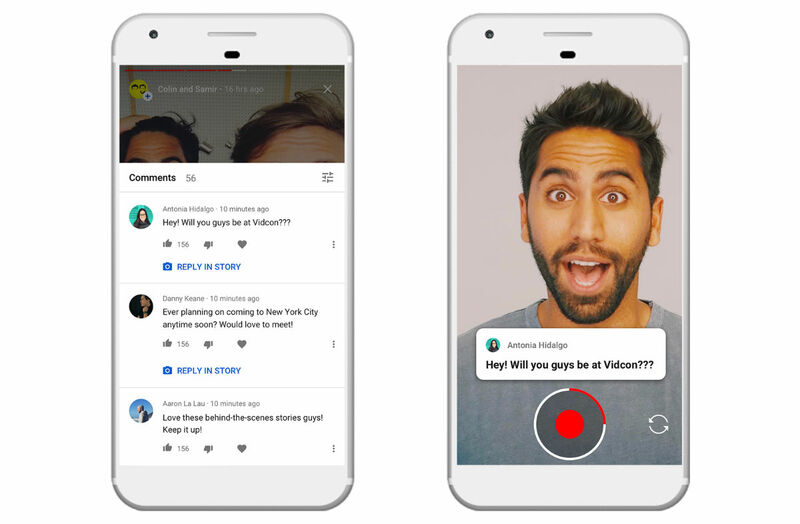 As explained by YouTube, Stories gives creators a new way of interacting with their audience. Think of it like an Instagram Story, where the creator can capture short clips of whatever it is they are doing, then share that directly with followers. Creators can customize their Stories with music, “YouTubey stickers,” and video filters. On the flip side, viewers can comment on Stories, thumbs up/down comments just like a usual comment section on YouTube, and you can heart comments. This change happened today, so if you follow someone on YouTube with a lot of subscribers, get ready to start seeing a few Stories from them, too.